Details: Stone window trim, arched openings. Historic Features: Bay windows, stone trim, shed dormers. Exterior Alteration Permits: BP36463, 1963.09.06, 3 sty masonry bldg addns and altns, $150,000, Ganster, Henning, Hasden, O'Donnell & Pigozzi-ARCH, N.W. 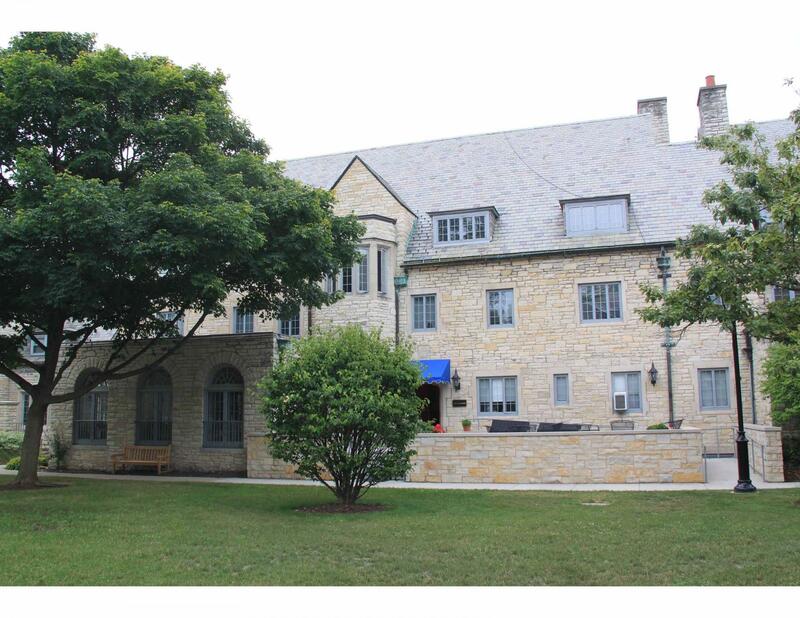 University-OWN; 13EXTR-0060: Exterior accessibility improvements including accessible ramp and new terrace; 12MSWK-0059: Accessible ramp/ terrace work; 10ROOF-0014: Emergency repairs to stabilize roof; 08MSWK-0032: Demo + rebuild chimney. COA Info: 13PRES-0012: Removal of an existing stair, wall and terrace on the east facade, front entrance, to the Kappa Kappa Gamma sorority, a new limestone terrace, stair, and an accessible ramp will be constructed in its place; 12PRES-0113: On E elev demolish existing terrace stairs and patio, construct new accessible concr ramp with railings, raised stone paved terrace and stairs and 4' high stone wall in front of ramp and above terrace, not visible from the public way.